A lovely confetti pizza just for me. I donut even care these aren’t actually edible. The most colorful burrito you’ll ever see. 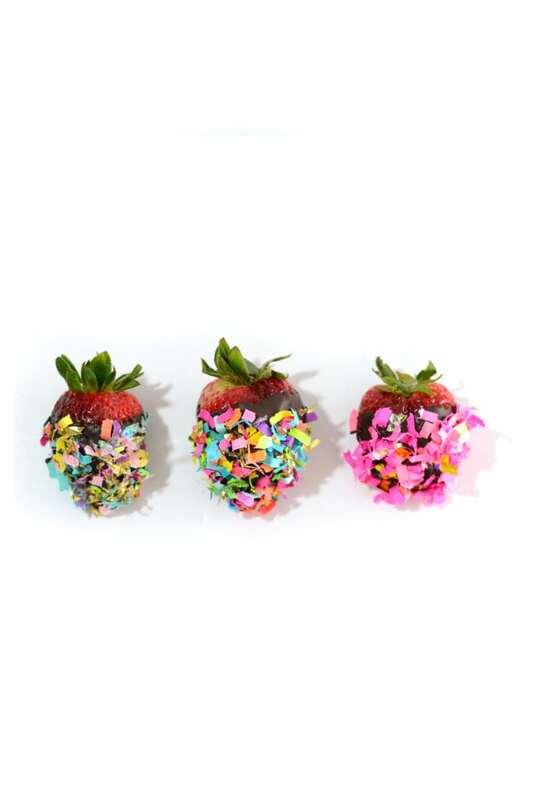 Confetti dipped strawberries? Yes, please! My favorite kind of pretzel. A new take on funfetti cake. This gives a whole new meaning to Taco Tuesday. Get ready to stoke that confetti campfire!